This HDMI® over CAT6 extender transmits your HDMI audio/video signal to a remote location up to 70 m (230 ft.) away. 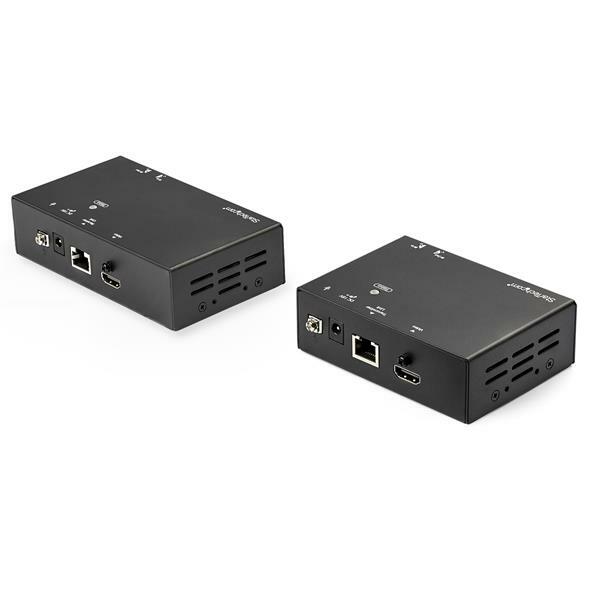 This HDMI over CAT6 extender maintains your Ultra HD 4K picture quality, even at 30 m (115 ft.) away from your video source. If you're not running 4K video, this extender supports High-Definition 1080p 60Hz and lower resolutions at even greater distances, up to 70 m (230 ft.) from your HDMI source. With HDR support, you can enjoy lifelike images with increased contrast, brightness and colors and greater luminosity than standard digital imaging. 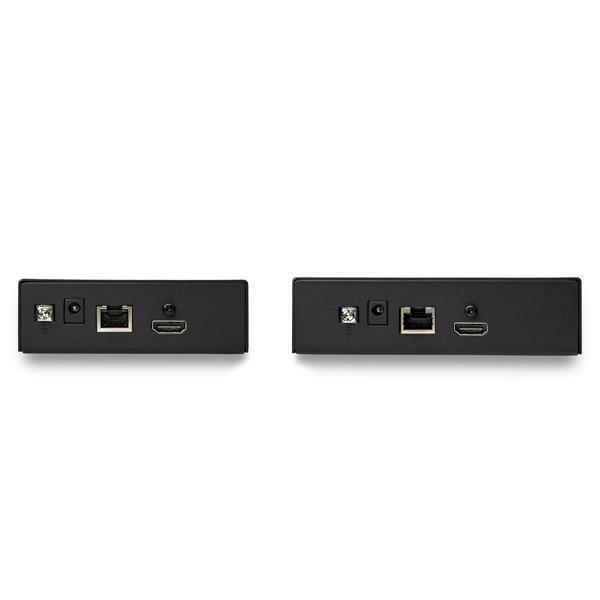 The HDMI Extender Over CAT6 offers a hassle-free solution for your digital signage project. 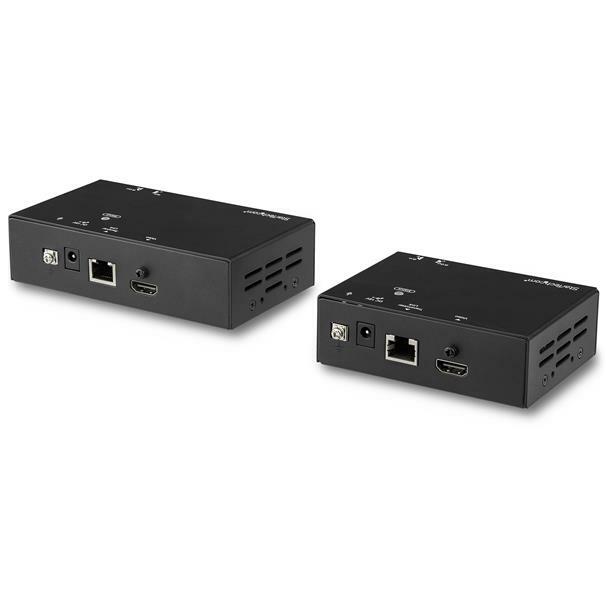 The extender only requires a single CAT5e or CAT6 cable, so you can extend an HDMI signal using your building's existing infrastructure. 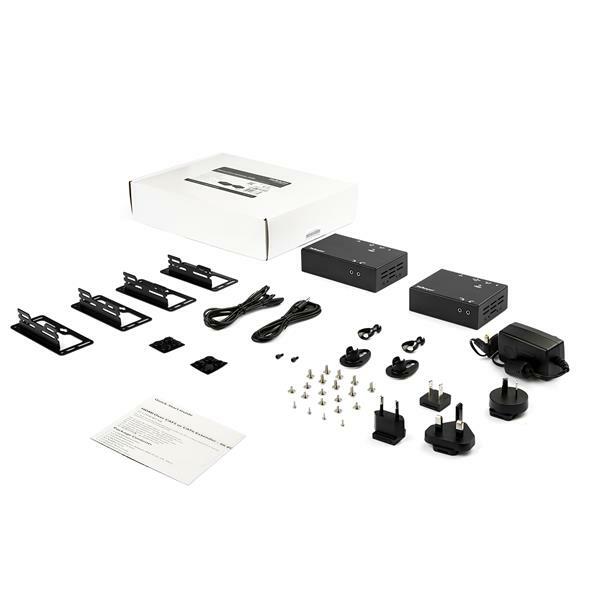 Plus, this HDMI extender supports Power Over Cable (POC), which means you’ll only need one power adapter connected to either your transmitter or receiver. 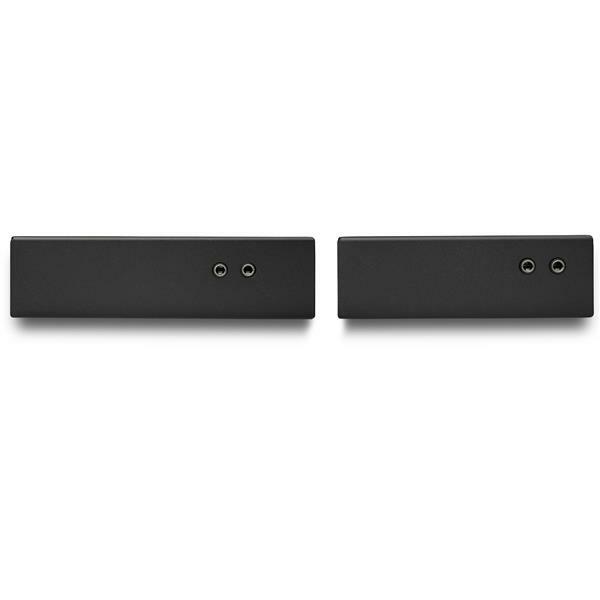 Mounting hardware is also included for discreet, professional installation. The ST121HDBT20S is TAA compliant and backed by a 2-year StarTech.com warranty with free lifetime technical support.